English: Chimney swallow, European swallow, house swallow, swallow; French: Hirondelle de cheminée; German: Rauchschwalbe; Spanish: Golondrina Bermeja. 7.5 in (19 cm); 0.6 oz (17 g). The back is glossy blue-black, the throat and belly rusty brown, and there is a brighter rusty-red patch on the forehead. The tail is deeply forked. 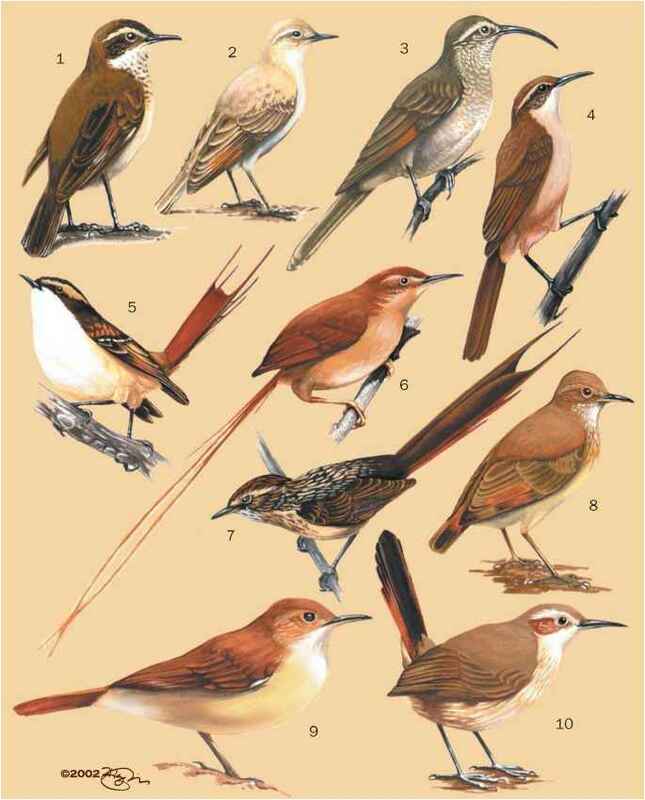 The six geographic subspecies vary somewhat in coloration. The most widespread species of swallow. 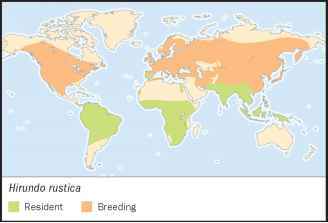 It breeds in northern regions of Eurasia, North America, and northern North Africa. 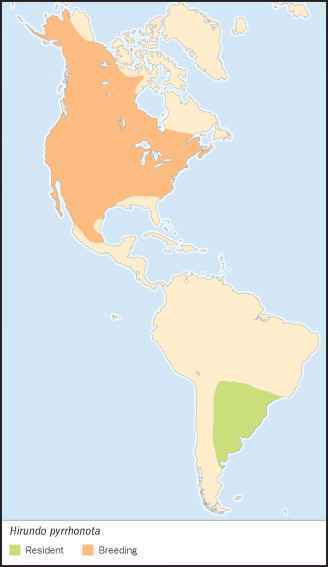 It migrates to winter in more southern regions of its range, including northern and central South America, central and southern Africa, and South and Southeast Asia. Forages in open areas, often close to water. Nests primarily on built structures, as well as natural cliffs and caves. Begins to migrates south at the end of August, but particularly in the first half of September. Before they depart and while resting during migration, they may aggregate into large flocks, often with other species of swallows. Late migrants may persist until late October or early November. Has a loud, twittering song and is perhaps the most talented singer in the family. Its contact call, used to attract and connect with others, is a high-pitched, loud, repeated weet. Feeds on insects caught in flight. Monogamous. Builds a cup-shaped nest of mud and some plant fibers, often attached to a building beneath a shading overhang, and sometimes inside if there is easy access. Its natural nest sites are cliffs, cave walls, and clefts in the ground. It usually takes about eight days to build a new nest, but in unfavorable weather this may be as long as four weeks. The nest is lined mostly with feathers. A nest may be used for a decade or longer, being refurbished each year. The clutch is typically three to six eggs. However, clutches laid later in the season have fewer eggs. Generally only the female incubates, although the male may also participate, especially in the American subspecies. The young hatch asynchronously after 11-18 days of incubation and are fledged after 15-23 days. Generally breeds once or twice per season, rarely three times.